Ripon, CA, April 4, 2011 – Starting in late 2008, Guntert & Zimmerman (G&Z) and Leica Geosystems partnered together with the goal of 3D stringless technology to a customer base focused on ride smoothness. No one has every argued about the huge potential benefits of 3D stringless paving; however, prior to this time, stringless technology was widely considered by contractors to be more suited to airfield paving and highway paving under less stringent smoothness specifications. This perception was changed in late 2009 when G&Z and Leica Geosystems partnered with Flynn Construction of Dubuque, IA on their 10.5 mile Highway 65 Demonstration project near Mason City, Iowa where Flynn’s G&Z S850 paver was controlled using Leica’s industry-standard LMGS-S stringless concrete paving system. Under Iowa’s very strict zero blanking band smoothness specification, Flynn earned 100% of the available smoothness bonus and did zero grinding. The smoothness achieved on the Flynn I-65 project established a new paradigm using Leica’s LMGS-S, ride was indisputably proven to be as good as the best stringline-guided slipform paving. Since Fall of 2009, G&Z and Leica Geosystems have successfully commissioned nine Leica stringless installations that have been used on ten different projects around the United States and Canada. G&Z and Leica Geosystems are committed to taking this technology for the concrete paving industry to new levels. Guntert & Zimmerman is happy to announce that starting in the Spring of 2011 the G&Z S600, S850 and S1500 mainline concrete pavers will all be available with “Direct Connect” software interface, facilitating the Leica system to communicate directly with G&Z’s Networked Microprocessor control system. This significant enhancement will simplify installation and improve the performance of the machine interface with Leica 3D controls. 3D machine control solutions for G&Z’s PS1200 Placer Spreader will also be available. To better service our customers, Leica Geosystems and Guntert & Zimmerman conducted intensive cross-training this winter of their respective sales and service teams with the goal being that Leica sales and service personnel will be expanding and enhancing their knowledge of slipform paving technology and vice versa to better support our common customer. 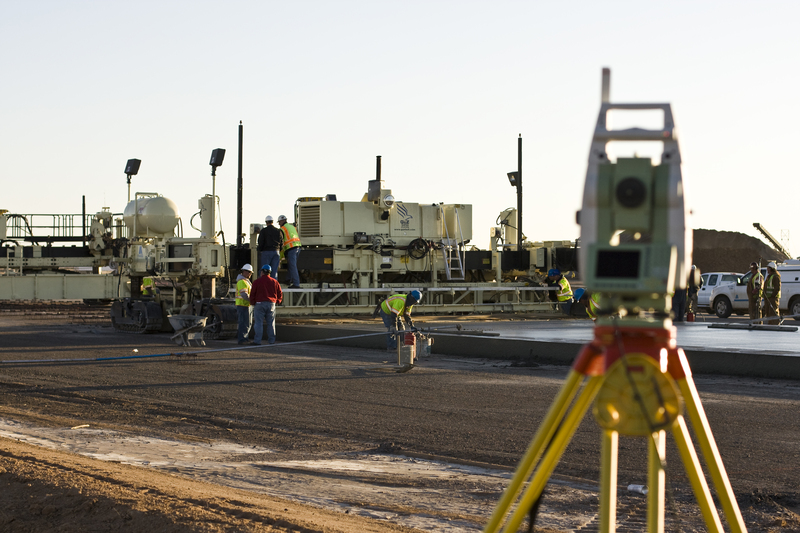 G&Z’s successful 24/7 service hotline will be expanded to support our Leica Geosystems users. Leica Geosystems also manage a service hotline to support users of Leica 3D stringless paving technology worldwide. Guntert & Zimmerman (G&Z), Ripon, California was established in 1942 and pioneered concrete slipform paving technology starting in 1956. G&Z products have been successfully meeting and exceeding the toughest concrete smoothness specification since 1959. G&Z builds a complete range of highly productive and innovative concrete slipform pavers, placer spreader and texture cure machines and is the pioneer and worldwide leader in dowel bar inserter (DBI) technology and canal construction machinery. G&Z also offers its complete line of Eagle bucketwheel trenchers. G&Z equipment is offered through its worldwide distribution network to provide local sales, parts and service support. 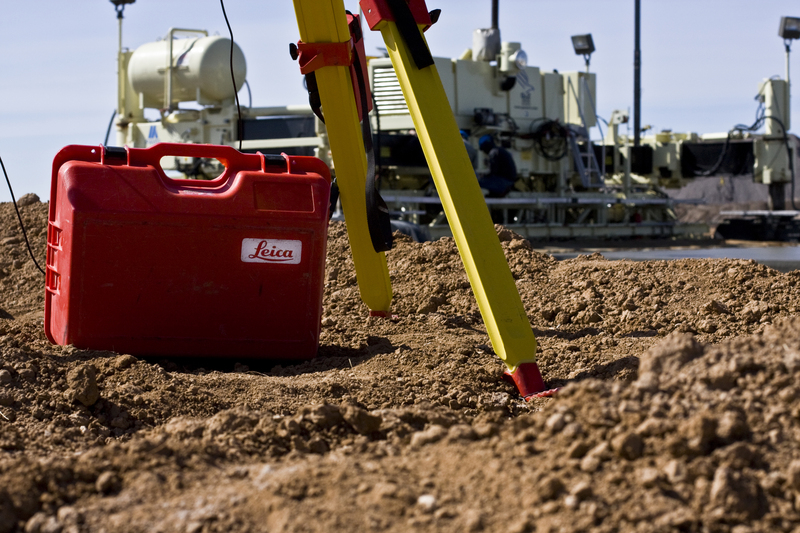 With close to 200 years of pioneering solutions experience to measure the world, Leica Geosystems products and services are trusted by professionals worldwide to help them capture, analyze, and present spatial information. Leica Geosystems is best known for its broad array of products that capture accurately, model quickly, analyze easily, and visualize and present spatial information. Those who use Leica Geosystems products every day trust them for their dependability, the value they deliver, and the superior customer support. Based in Heerbrugg, Switzerland, Leica Geosystems is a global company with tens of thousands of customers supported by more than 3,500 employees in 28 countries and hundreds of partners located throughout more than 120 countries around the world. Leica Geosystems is a member of the Hexagon Group, Sweden.